The average Briton spends nearly two hours commuting to and from work every day. What’s more, a study has shown that the longer a person’s journey is to work, the lower their job satisfaction. The research by the University of the West of England found that “a 20 minute increase in commute time is as bad as a 19 per cent pay cut,” and can cause seriously adverse effects on mental wellbeing. We’re not all lucky enough to have the luxury of being able to work from home or reduce our commute time. What we can do is ensure that we’re not wasting those lost two hours of commute time every day and use it to proactively work on our career development and job prospects. 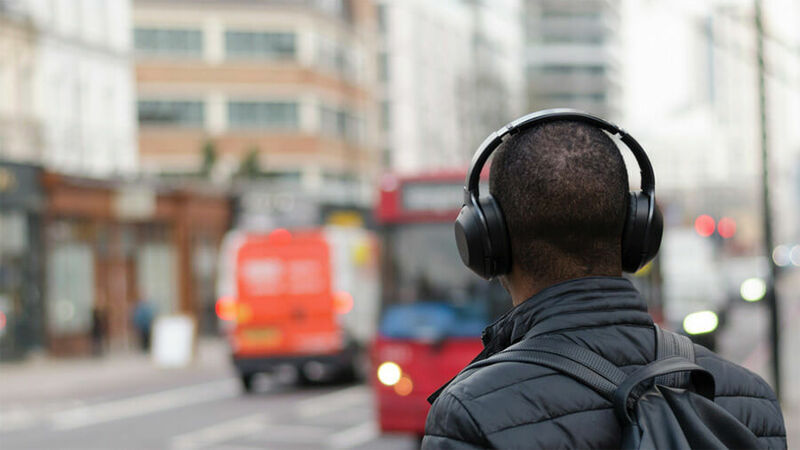 Here are some of our favourite podcasts to listen to on the daily commute that offer great career-boosting tips and motivation. If you’re feeling particularly ambitious try listening at x1.5 speed to pack in even more inspiration on your commute. Venture Capitalist and co-founder of Behance, Scott Belsky. Tim Urban, whose TED Talk ‘Inside the Mind of a Master Procrastinator’ has received over 21million views. Ex-British Special Forces, survivalist and TV Presenter Bear Grylls. ‘Fittest Woman on Earth,’ Crossfit Athlete Katrin Davíðsdóttir. A podcast aimed at creative entrepreneurs, freelancers and “side-hustlers,” Being Boss offers inspiration and tips for anyone wanting to quit their day-job, or who had already done so. Kathleen and Emily are both successful businesswomen and their podcast now has over 3million downloads and hundreds of episodes. Topics include productivity, business strategy, setting boundaries, marketing, habits and routines. The duo have interviewed some incredible guests, including CEOs, news presenters, fitness celebrities, bestselling authors, marketing gurus, real estate investors, professors, TED Talkers, philanthropists and more. The podcast has a lot of humour and some great ‘minisodes’ on subjects like asking for help, getting a book deal, client management, communicating price increases, expanding your brand and using social media. Chop Wilson, founder of multimillion athletic clothing company, Lululemon Athletica. Michael Dell of Dell Computers. Serial entrepreneur, Marcia Kilgore who has founded brands such as Soap & Glory, FitFlop and more. Co-founder of LinkedIn, Reid Hoffman. Ben Cohen and Jerry Greenfield (Ben & Jerry). The founders of Instagram, Kevin Systrom and Mike Krieger. The man behind Starbucks, Howard Schulz. The episodes make for seriously inspiring commute-time listening, as these innovators talk through their journeys, the hurdles they overcame and share their secrets to success.